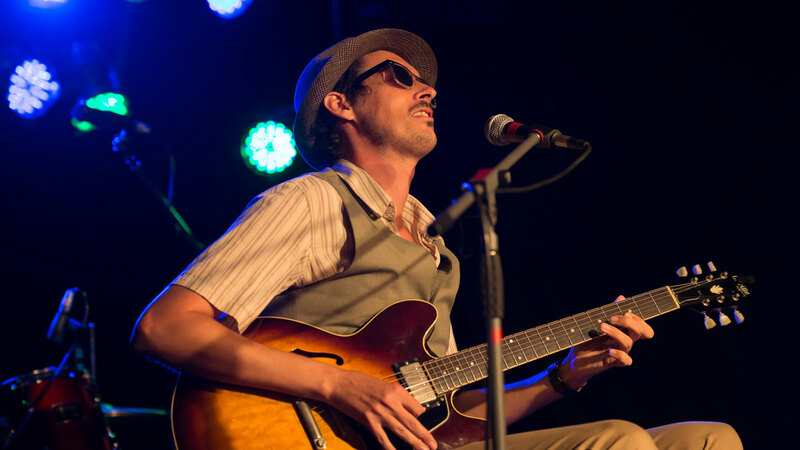 Soaked in the spirit of the old bluesmen but with a lyrical style born of the internet age, Luke Escombe’s music is raw, earthy, funny and funky. Armed with just electric guitar and stomp, he creates a super-charged sound, transforming from preacher to comedian to sinner to saviour. His darkly comic 2012 album ‘Mantown’ spent nine months in the top ten of the Australian Blues and Roots charts and last year he released ‘Creeper Vine’, a record described by the Sydney Morning Herald as “a steaming pile of fun”. A true original, Luke is also the proud owner of “Sydney’s sexiest man voice” (a title he won in a phone poll on a popular radio station) and the creator of an award-winning roots music show for kids called The Vegetable Plot.